College diploma or 119,784 donuts? $99,720—the average cost for a four year, public university tuition according to College Board last year. For your education, you'll spend nearly $100,000, and that doesn't account for the countless textbooks you'll have to buy, your meal plan, or your room and board. The cost of college seems to be slowly rising, and soon enough, your student loans will be with you until death do you part. You have to wonder what else you could purchase with all the money you spend on your education. Listed below are just a few of the foods you could buy, instead of spending all of the money on a diploma. Your choice. Before you think that sounds ridiculous, there's a man named Don Gorske who has actually eaten over 29,000 Big Macs. OK, that still sounds ridiculous, but I'm sure he's glad to know he spent the equivalent of a college education on fast food burgers. However, he might not be lovin' them any more. If you buy the macaroni and cheese in sets of five, the cost for the box will be under a dollar. There are three servings of the good stuff in each box, so that amount could feed approximately 332,400 people. That's more than half the population of Wyoming. Not going to lie, this is a pretty tempting deal. It would be a nice to finally have a chance to try out all of the flavors. With the amount of pasta you can get with that, you'll have never ending pasta for life. Or around 27 years, but who's counting? Imagine if everyday, once a day, you went to In-N-Out and ordered one Double-Double Burger Combo. You would have to keep up that habit for nearly 41 years before you spent all of the money that you are using for your college tuition. Just take a moment to let that sink in. I'd be eating more chicken, that's for sure. Because everyone wants to have one frozen, sugary, barely-caffeinated drink when they wake up every morning for the next 55 years. Start many mornings off the right way—with a small smoothie. 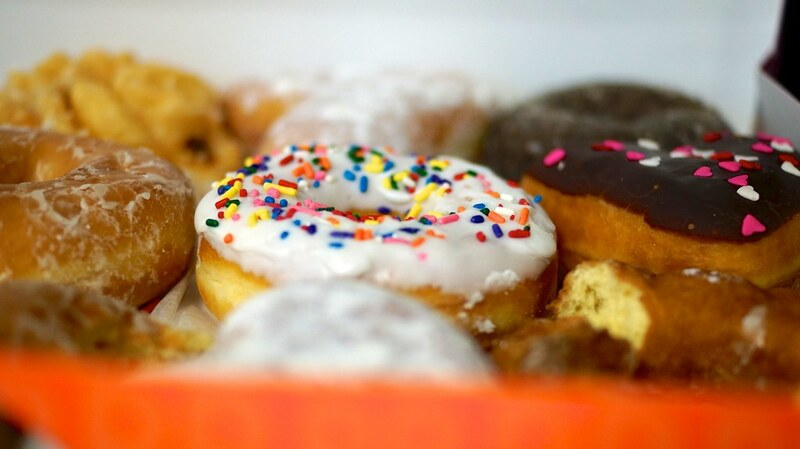 If you buy the donuts in boxes of one dozen (a box for $9.99), you will have thousands of donuts. You could practically feed every student at Penn State with three donuts. More than that, you'll have many friends, because who doesn't want donuts? While your education will be expensive, the knowledge and experience you will obtain will be priceless. The food might be slightly tempting, but the chance to have a diploma is something that should not be given up on, even if it means you could have nearly 15,000 combos from In-N-Out. #SpoonTip: For ways to manage your college budget, check out these tips for saving money while in college.